After a long awaited arrival, Ring finally prepares to release their full-service home security system. Although it was initially announced to be released last October, the Ring Alarm was delayed by a lawsuit and rebranding effort but appears to finally be ready for launch. Sales for the Ring Alarm began this month and shipment for the product is reported to start July 4. The Ring Alarm system is not anything particularly revolutionary. It comes equipped with an alarm hub, keypad, backup battery and sensors. The sensors include a single motion sensor and a single door/window sensor. In terms of properly protecting your home with a security system, this Ring Alarm system is the absolute bare minimum. Thankfully, additional sensors are sold separately, motion for $30 and door/window for $20. Alarm Smoke & CO Listener – to send alerts when smoke and CO detectors go off. Alarm Flood & Freeze Sensor – for detecting water and freezing temperatures. The biggest draw for the Ring Alarm system however is the price. The system starts at only $199, which is surprisingly cheap for home security. Nest, for example, offers a very similar security package. Whether the Ring Alarm release had anything to do with it is to be determined but Nest just recently dropped their price $100. Regardless, their system still starts at a whopping $200 more than Ring at $399. The Ring Alarm system is perfect for someone who enjoys DIY technology. Like any of Ring’s other security products, every piece of the alarm is designed for self-installation. The reason this DIY security style has become so popular is because it eliminates the need for a “professional installer” to come to your home. The equipment is also designed to be installed by even the least technologically savvy person. The issue with DIY security however, is having to handle alerts on your own. Ring seems to cover all the basis by even offering customers professional monitoring. For only $10 a month, you are able to have 24/7 professional monitoring. 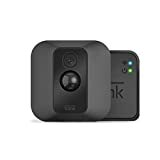 Like most other monitoring services, Ring offers unlimited video recording backup for all your cameras as well as cellular backup in case your internet goes out. Although the monitoring price is surprisingly cheap, the monitoring service offered is extremely basic in terms of the industry standard. Offering a professional monitoring service is relatively new for Ring. This step forward could have something to do with Amazon acquiring Ring earlier this year. 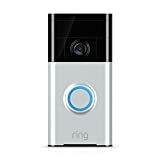 Home security and home automation has clearly become an interest for Amazon and Ring’s Video Doorbell was a big step forward. While Ring still doesn’t integrate with Amazon’s delivery service, the biggest change we’ve seen since the acquisition is the price decreases. It would be easy to image a full integration with all of Amazon’s services for Ring soon however. The Ring Video Doorbell is what brought the company the notoriety they have today. As the first smart doorbell camera creators, Ring helped revolutionize the home security industry. Since then, Ring has created multiple doorbell cams. Although the Ring Alarm security system will not include a video doorbell, you are able to purchase one separately and integrate it into your system. The systems will begin shipping to customers on July 4, as confirmed by Ring Founder and Chief Investor, Jamie Siminoff. The Ring Alarm system seems like the obvious next step in their home security evolution. Expanding from the success of their video doorbell, Ring’s goal is to protect an entire home. Ring’s price point is definitely a draw but the equipment it includes is fairly average and basic. Many more devices are required to properly protect your home and although professional monitoring is definitely a step in the right direction, their quality of monitoring has yet to be seen.